Click the icon to join the Women in Recreational Fishing Network Facebook group. This network has been created to encourage females to participate in the fishing activity with the family (not just to observe). 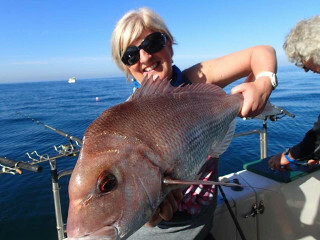 It is linked to the Target One Million drive to increase participation to get one million Victorians fishing by 2020. Our aim is to establish an interactive facebook group for women to enable them to talk, gain and share knowledge to engage in recreational fishing activities in a comfortable manner. Female anglers of all levels will be encouraged to join, post and learn from one another. promote the benefits of fishing as a healthy and positive outdoor activity for the family. provide a space for females to discuss, share, engage with other females and ask questions. address barriers and offer solutions to encourage more women to go fishing and promote positive images of women in recreational fishing. provide women with the education and knowledge to give them the confidence to fish. Click here to view our Women in Recreational Fishing survey results for 2017. Click here to download useful resources about getting into recreational fishing.